It truly is about the little things in life. 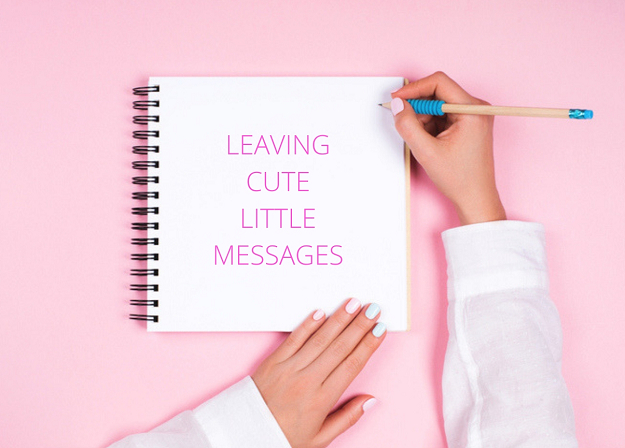 Having your little one write notes for you is probably one of the most pure and heartwarming things, so why not return that favour and put a smile on their faces by affirming them with kind words? I remember finding sweet notes my mom left in my school lunchbox every now and then. Initially I thought, "criiiinge..." but in retrospect, it really warmed my heart and was a kind gesture. Are you the type of parent who constantly affirms your children with sweet little gestures? Let us know what they are but emailing us at chatback@Parent24.com and we could publish your comments. Do let us know if you'd like to remain anonymous. 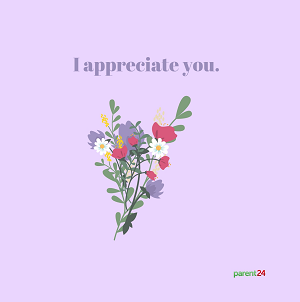 You do so much for your children, and they may be a little high maintenance at times, so a small heartfelt gesture every once in a while may be exactly what they need. Feeling appreciated and cared for does wonders. 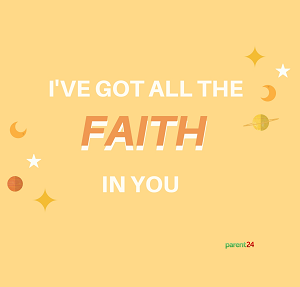 Especially with the schooling year coming to an end and exams being in full swing, there's nothing like a little word of motivation from a loved one to keep your kids going. 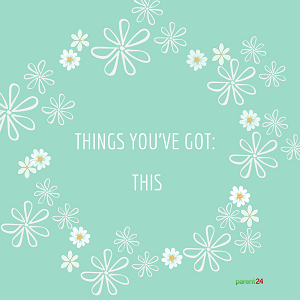 Leave a little message with their lunch or a surprise note on the fridge or wherever they're likely to find it. It's better to give handwritten notes as it adds a personal touch. 8. Today is going to be an amazing day! 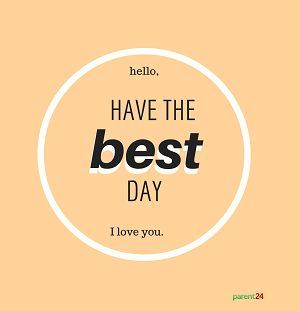 Naturally, you can add your own twist to it but these simple words hold a lot of weight and can transform a poor or even average day into a brilliant one. Use the following images as inspiration to jazz up your notes! If you're really not keen on writing notes or feel you have the worst handwriting, save these images and send them instead. Although it's not handwritten, the message is conveyed.